THE six licensed Infrastructure Companies, InfraCos, now have cause to smile. The Nigerian Communications Commission, NCC, has concluded the process for the disbursement of subsidies to them. Prof. Umar Danbatta, executive vice chairman of NCC made this known when delegates from the United States Trade and Development Agency, USTDA, paid him a courtesy visit in his Office in Abuja. The scheduled disbursement is part of the strategies to boost broadband penetration and make it pervasive nationwide. It is also to actualise the digital transformation agenda pu in place by the NCC. According to Danbatta, the subsidy would augment the InfraCos’ Capital Expenditure, CAPEX. Danbatta said that the InfraCo scheme had a public-private partnership, PPP, arrangement, with a subsidy component that was being worked out for the licensees to fast-track deployment in their respective zones. “The licensees are expected to play some roles and NCC too is to play some roles to encourage broadband infrastructure deployment by the licensees. Currently, we have seen the licensees’ CAPEX, we have negotiated the CAPEX and we have arrived at percentage of subsidies based on the negotiation that we have had with them”. The subsidy is to be paid back by the INFRACOs once the achieve a reasonable milestone in their zones of deployment. The six licensed InfraCos are MainOne Ltd for Lagos Zone, Raeana Nigeria Ltd for South-South Zone; O’dua Infraco Resources Ltd for South-West Zone; Fleek Networks Ltd for North-West Zone; Brinks Integrated Solutions for North-East Zone and Zinox Technologies Ltd for the South-East Zone. The remaining seventh licence for North Central Zone is being processed. The idea of InfraCo was an auspicious initiative of the commission as it will see licensees deploy their infrastructure for a period spanning five years, he said. According to him, the InfraCos would provide wholesale services to other licensees to drive last-mile connectivity to people in the rural, under-served and unserved areas of the country. “We are trying to build an intra-city and inter-city networks that will be able to connect citizens all over the country irrespective of where they are and what their circumstances are. 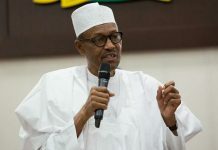 To that extent, we have decided to provide access points in all the 774 local government areas in the country, trying to provide access to close to 190 million Nigerians, a lot of whom live in rural communities,” he said. The commission has adopted fixed and wireless broadband approaches to its broadband infrastructure development. The InfraCo model was open to the use of combination of terrestrial, sub-terrestrial and aerial fibre optic deployment options and the use of Television White Space, TVWS, spectrum to provide connectivity in rural areas. Senator Olabiyi Durojaiye, chairman, Board of NCC, called on USTDA to work with the commission towards addressing deployment challenges. Durojaiye said that some InfraCo licensees in the South-South geo-political zone were faced with challenges due to the riverine, swampy nature of the region. Thomas Hardy, acting country director, USTDA, commended NCC for achieving and surpassing the country’s broadband penetration target of 30 per cent in 2018. Hardy said that the agency’s mission was to see areas where it could help to support the digital transformation goals of the country. He said that USTDA would work with NCC and other organisations to open up opportunity for greater trade, greater economic development and closer bilateral cooperation. “As a small foreign sister agency of US, with a long-standing history in Nigeria, we support economic infrastructure projects. We help in the telecommunications, energy and transport sectors, where countries have identified their priority development goals in the area of infrastructure development. Through US companies, we develop an independent analysis of ways to meet your infrastructure goals,” he said.